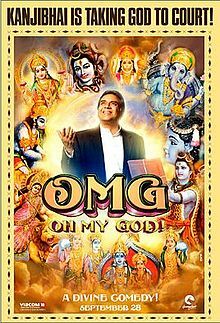 Movie Review: ‘Oh My God’ is a miracle for all you assholes | Mehta Kya Kehta? I wasn’t planning to watch this, because of Akshay Kumar, but now I surely am. Get your booze and I’ll get the lamb biryani. Your shameless plug has actually made me google your band. Free downloads from this blog, by the way. We have 2 EPs and a single and there’s another EP and a single on the way. Man, I had such a blast watching it! This film’s grouse isn’t with believing. It’s with the ridiculous ways in which the believers choose to follow religion and interact with their ‘maker’. Neat, edgy piece. Keep writing.